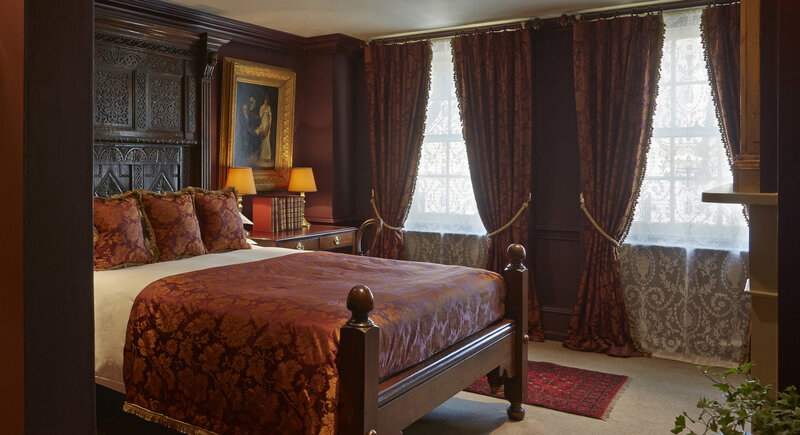 Genuine antique furniture and pictures, ultra-comfortable beds and truly extraordinary bathrooms featuring restored Vintage roll-top baths, walk-in showers and throne loos. What’s a throne loo? Come and see – you won’t find anything like it elsewhere! For example, Peter Merzean’s room boasts an enormous antique ceramic bath with Carrara marble casing. The other suites feature equally unforgettable fittings and furniture. As with all our rooms, air conditioning, WiFi, flat screen TV with Apple and media hub technology, personal safe, stylish well-stocked mini bar and luxurious REN toiletries are of course all there for you to enjoy.
" If you've ever wanted to time -travel to the 18th Century, now's your chance"